Hello Hello! I have a lovely red to share today. 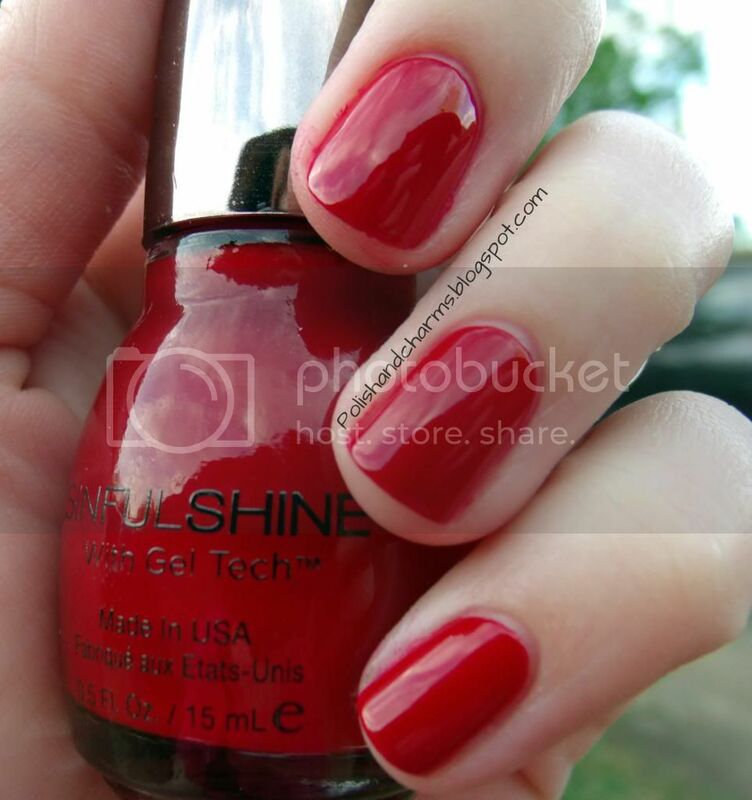 This is Devious from Sinful Colors Sinful Shine collection. I did use undies for this, as I usually have to do for reds. One coat of a neutral and 2 of Devious. Enjoy!